Twin explosions in the Iraqi capital of Baghdad have killed at least 27 people and wounded dozens more, the health department said. Monday’s attacks were carried out by two suicide bombers, who detonated their belts in a crowd of workers at the Al Tayaran Square in central Baghdad, Iraq’s interior ministry spokesman Saad Maan said. 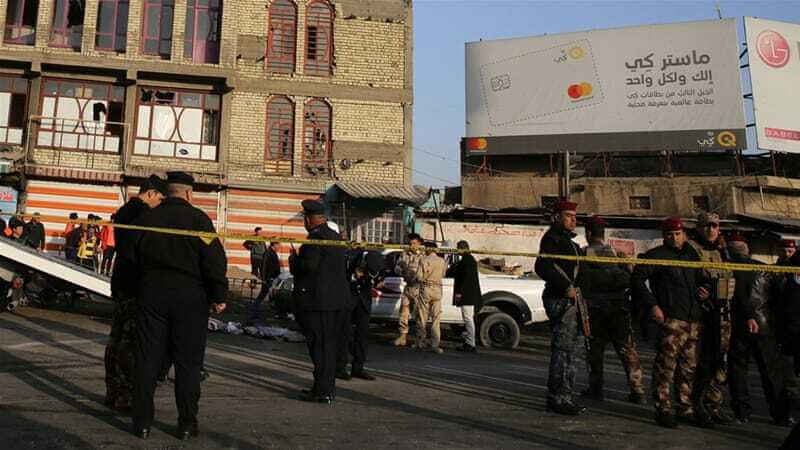 The interior ministry put the death toll at least 16 with 65 wounded. Medical sources say the death toll is expected to rise, with many critically injured. Al Tayaran is a major intersection in eastern Baghdad between Sadr city and al-Jumariyah bridge over the Euphrates river.